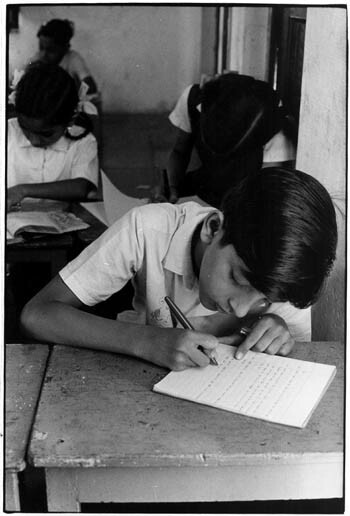 Boy writing at school. From the William Gedney Photographs and Writings, 1950s-1994. The editors of The Devil’s Tale reserve the right to remove comments deemed inappropriate. We also reserve the right to delete comments that are off-topic or abusive, and do not allow messages that sell products or promote commercial ventures. Posted comments do not necessarily reflect the opinions or policies of Duke University Libraries. Please contact the David M. Rubenstein Rare Book & Manuscript Library with research questions.